Our team is invested in the outcome of each case we handle. Attorney Kevin Tipton personally meets with each client during a free initial consultation to assess the situation. We provide honest feedback and collaborate with our clients through every step of the legal process. People who work with our law office are well-informed because we value communication. Mr. Tipton has been licensed to practice for 16 years, and in that time, he has built a reputation for excellent customer service. This sets the foundation for obtaining favorable outcomes, whether that is securing maximum compensation for a victim of negligence or returning a case dismissal for a client facing a criminal charge. A native of West Virginia and a coal miner’s son, Mr. Tipton knows the unique circumstances many of our clients find themselves in. No matter what the details of a case may be, our team recognizes the uncertainty and stress our clients are experiencing. We provide people peace of mind through our compassionate representation. 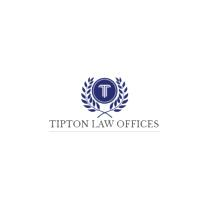 The Tipton Law Office accepts credit cards.